The Steven A. Cohen Military Family Clinic at Centerstone serves military service members and their familes by providing mental health care services. 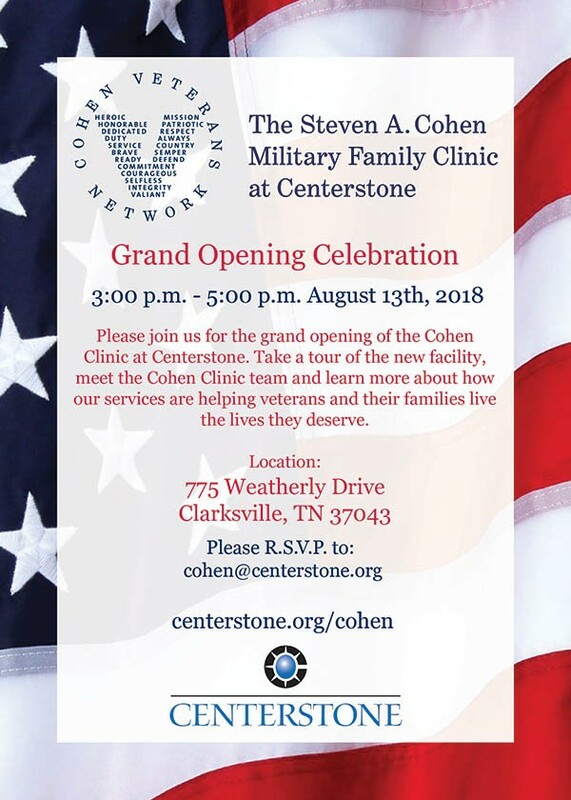 Please join us to celebrate the Grand Opening of Centerstone’s Cohen Clinic on August 13 from 3:00 – 5:00 p.m. Take a tour of the new facility, meet the Cohen Clinic team and learn more about how our services are helping veterans and their families live the lives they deserve. 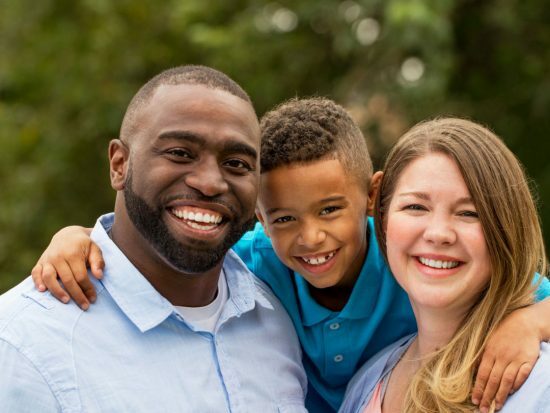 The Cohen Clinic at Centerstone provides confidential, high-quality, behavioral healthcare and case management resources for post-9/11 veterans, regardless of discharge status or role, their families and families of active duty military, including spouse, partner, children, parents, siblings and caregivers, regardless of insurance or ability to pay. Clients are given an intake screening upon their first contact with the clinic and can expect their first appointment within seven days. The clinic offers outpatient treatment for depression, anxiety, post-traumatic stress, adjustment and transition issues, anger, grief and loss, family and relationship issues and children’s behavioral problems. It began accepting clients in April and has already served more than 150 service members and their families. The Cohen Clinic at Centerstone is a partnership between Cohen Veterans Network, a philanthropic organization that serves veterans and their families through a nationwide system of mental health clinics, and Centerstone, a national leader in behavioral health care. Cohen Veterans Network (CVN) was established in 2015 with a $275 million commitment from philanthropist Steven A. Cohen. The organization works with selected provider partners, like Centerstone, to operate a growing networking of clinics for military veterans and their families nationwide. The Cohen Clinic at Centerstone is the tenth CVN-funded clinic and the first in the state of Tennessee. The newly built facility includes 10,000-square feet of office space, with private waiting areas and well-furnished clinic offices. There is also a family waiting area suitable for children of all ages and a community room where events and classes will be held in the future. If you would like to make an appointment, call (931) 221-3850 or email us.